Traditionally the Kai’vi’vits (Kaibab Paiute) lived a seminomadic life of hunting, gathering plants, and small-scale farming. 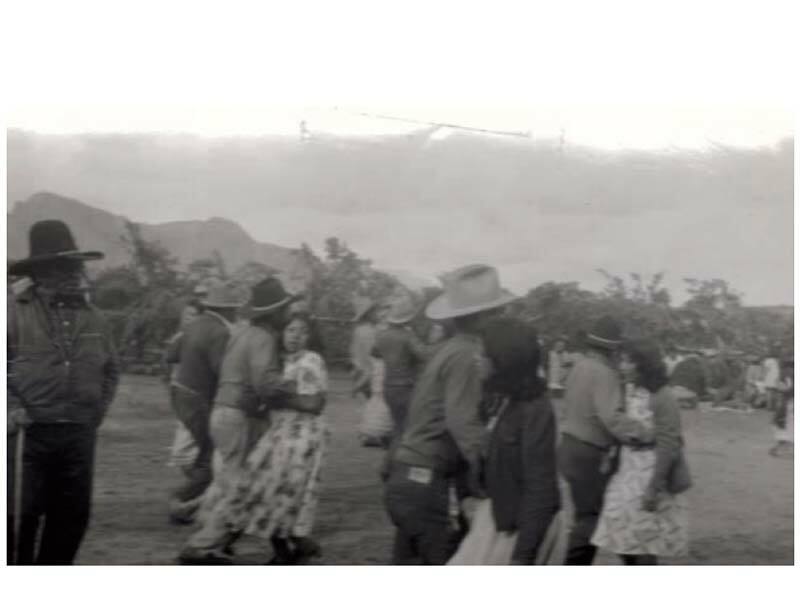 Seasonal social dances and games were an important part of Southern Paiute life. The first sounds of thunder in the spring signaled the waking sounds of the bear coming out of hibernation. The Bear Dance was a momentous occasion for families and bands of the Southern Paiute Nation to come together to socialize, gamble, trade, share news and hold ceremony. The last known small-scale Bear Dance held at Kaibab took place sometime in the late 1980s-1990s. 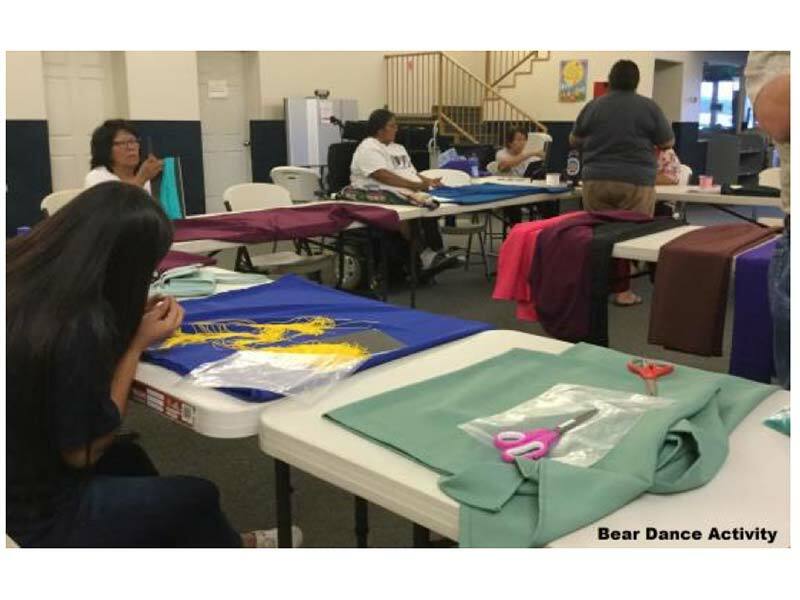 Our project aimed to reestablish Southern Paiute cultural values, songs, dances and language through the revitalization of the Bear Dance tradition. Identifying Southern Paiutes willing to be video recorded on location at past Bear Dance sites was a project goal. Participants were successfully identified and will result in on-going oral documentation due to the interest generated. A second goal was to locate documentation of Southern Paiute Bear Dance practices. Three anthropologists who have worked closely with several Southern Paiute Bands and written extensively on the Southern Paiute, including Bear Dance documentation, were identified. A third goal was to teach the Bear Dance to interested Southern Paiutes. The Cultural Preservation Department, along with a dozen Southern Paiutes, participated in a Northern Ute Bear Dance (very similar to Southern Paiute Bear Dance). We successfully taught 5 participants how to Bear Dance. A fourth goal was to teach Southern Paiute women and girls protocols and shawl attire construction. We facilitated a Southern Paiute knowledge sharing night that was well attended by participants of all ages. The shawl making class was also well attended and will be incorporated into our heritage class rotation. The Cultural Resources and Elder Committees were concerned that generating interest and participation would be the biggest challenge. We now know that the community would like to see more “hands-on” activities where they can learn both traditional and contemporary Paiute heritage skills. Undoubtedly this grant has sparked a renewed energy towards revitalization. The project established a new cultural consultation relationship with the Tribal Elders Committee made up of mostly Southern Paiute Tribal Elders 55 and older as well as other nontribal Elder spouses. We feel very fortunate to have willing tribal and nontribal volunteers who offer their time to help with hands-on activities, as well as several tribal Elders who provide ongoing cultural consultation and guidance. 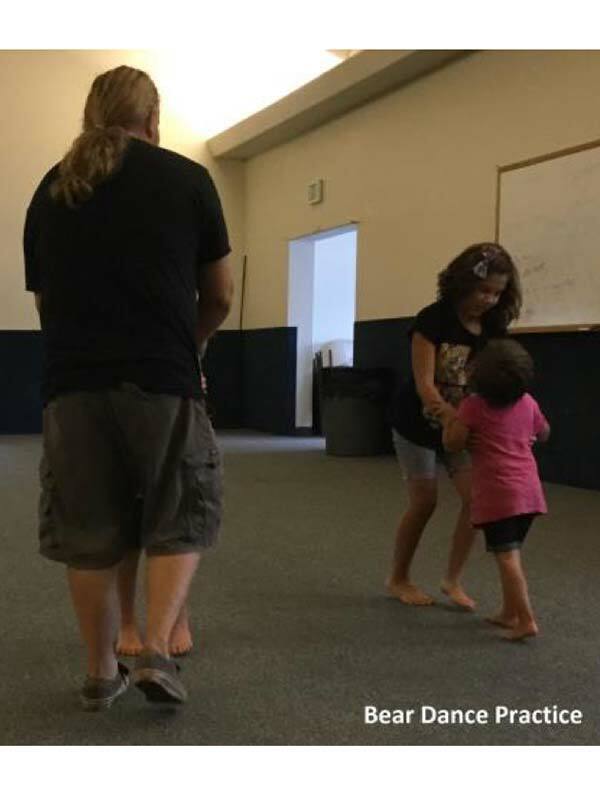 It is due to their willingness to help us push our fledgling Bear Dance revitalization project forward after decades of nonpractice that the Bear Dance is slowly starting to take shape. The next step in the project is building a new Bear Dance Corral here on the Kaibab Paiute reservation as a means of preserving this cultural practice for future generations. We also plan to seek ways to preserve our tribal language through the use of modern technology to make learning tribal language fun.